New Pumps (3 book set) water, sump, centrifugal etc. Buy and Download > Description Pump selection, installation, maintenance and repair ... from a maintenance engineer that got fed up with pumping problems! NEW, ENHANCED "Pumps E-Book Package", a 3 volume set of E-Books from pumping basics to pump solutions. 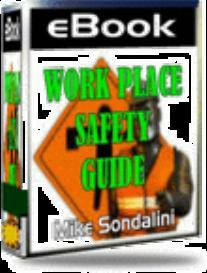 Before you tackle that pump project or repair, download this e-book. Mike pumps his years of experience into this e-book, offering proactive solutions and advice from mechanical seal to fluid dynamics. Mike gives you insight to design, uses, installation, calibration, troubleshooting and maintenance for the various pump types. 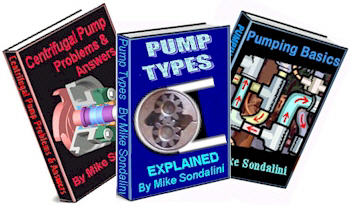 If you have a centrifugal pump problem, the odds are Mike Sondalini has included the solution in this very detailed e-book.